/ Modified may 25, 2017 7:12 a.m.
Overlooking the Tucson city skyline at night. 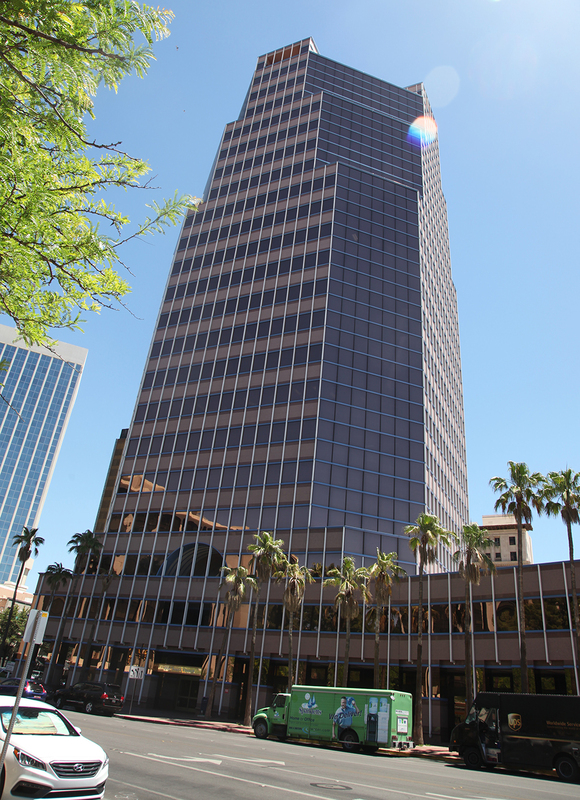 At 22 stories, One South Church is Tucson's tallest building. It has held that honor for more than three decades. The building has been named after various owner and occupiers in that time: Unisource, United Bank, Citibank and Norwest. Today, it is owned by 1 SC Partners LLC, which is making improvements and looking for companies who want to rent space. One of their newest tenants is lawyer Doug Newborn. One South Church a convenient location for his law firm. His interest and that of other would-be tenants in One South Church represents another phase of downtown Tucson revitalization. "Live, work and play" has been the downtown redevelopment mantra. And while "play" and "live" led the way in the last few years, "work" has been sluggish. Now, with growing interest in office and retail space, that component is kicking in. VIEW LARGER One South Church stands 22 stories tall and has 240,811 square feet of usable office space. When it came time to move, Newborn opted to leave the serviced office he had on the building's 12th floor and find a larger space. He opted for an office three floors down as opposed to something closer to his home in northwest Tucson. “I'd probably be wasting more time if I worked out of the northwest side and then had to drive down here all the time instead,” he said. Newborn said the building offers convenience and is easy to find. And as a final perk, it has its own parking garage. 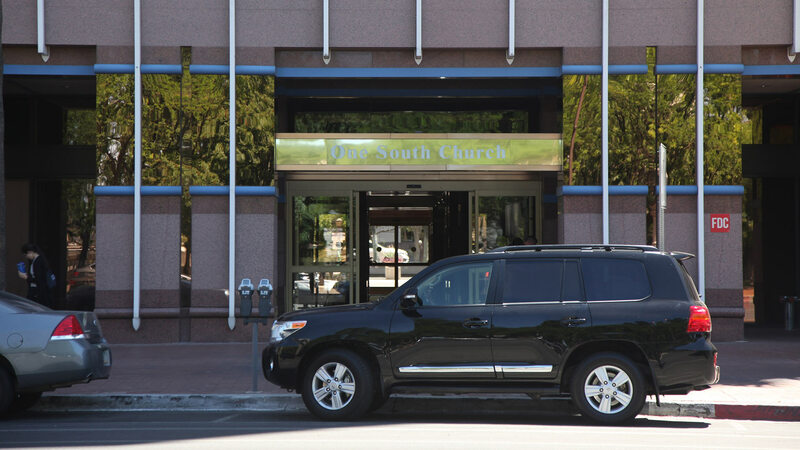 One South Church has 240,811 square feet of rentable space, about a quarter of which is vacant. Casper has handled leasing for the building for about seven months, and in that time, he said interest in vacant space has gone up. White lettering on a gold overhang on the westside entrance for One South Church. “We've started to see a lot more tours," he said. "We've started seeing new groups into Tucson. We started to see larger requirements come into Tucson and specifically to this building." Rio Nuevo Chair Fletcher McCusker thinks he know why Casper and others have seen a spike in interest in downtown offices. That has started to change, according to McCusker, and he has an example. Casper agreed, and said the interest has also broadened out beyond those who see a downtown office for its proximity to courthouses. McCusker has located two businesses downtown, and he said attitudes have changed about office location in that time. He thinks part of the reason employees like the downtown offices is the growth in culture and options for lunch and post-work activities in downtown. “One thing that I didn't realize when I first moved in was all the nice restaurants that are right here, and so that's been a draw,” he said. McCusker said he sees a trend in downtown development that will ultimately lead to further growth. “In the next five years, we’ll probably be built out from 'A' Mountain all the way to Country Club,” he said. Such growth would make the third-generation Tucsonan happy, he said, because it would help make downtown the economic and cultural center of the city. 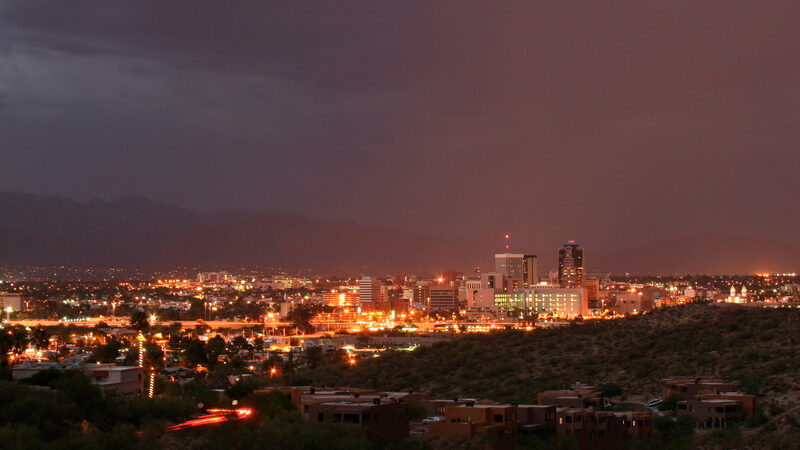 MORE: Arizona, Business, Pima County, Downtown Tucson, Economy, Jobs, News, Tucson, U.S.